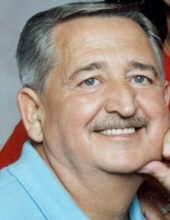 Jackie “Jack” Hill, age 73, of Cedar Bluff, VA passed away Tuesday, April 9, 2019 at his home. He was born August 29, 1945 in Richlands, VA. He was the son of the late Clinton and Virginia Shelton Hill. Jack enjoyed fishing. In addition to his parents, he was preceded in death by two brothers, Don Hill and Tommy Hill; one son, Jackie Hill, Jr. He is survived by his wife of 19 years, Trish Hill; one son, Adam Brown and fiancée Courtney Holford of Topeka, KS; 5 sisters, Loretta Whitt of Richlands, VA, Ruth Payne and husband Jr. of Cedar Bluff, VA, Sue Wright and husband Larry of TN, Jean Taylor of Cedar Bluff, VA, and Phyllis Pruitt and husband Ken of Lenoir, TN; 5 grandchildren; many nieces, nephews, and friends also survive. The family will receive friends from 6 – 8 p.m. Friday, April 12, 2019 at Singleton Funeral Service in Cedar Bluff, VA. Burial will be private. The family of Jackie “Jack” Hill is in the care of Singleton Funeral Service in Cedar Bluff, VA.
To send flowers or a remembrance gift to the family of Jackie "Jack" Hill, please visit our Tribute Store. "Email Address" would like to share the life celebration of Jackie "Jack" Hill. Click on the "link" to go to share a favorite memory or leave a condolence message for the family.